Behold the power of the mind! GURPS Psionic Powers takes the freeform options of GURPS Powers and turns them into ready-to-use packages of psychic strangeness. You can use the abilities as presented, confident that they are built from – and entirely compatible with – the rest of the GURPS Fourth Edition character-creation system (including GURPS Powers, which is not required to use these packages, but is recommended). GURPS Psionic Campaigns gives you the insight you need to add psionic abilities into your game world: where powers might come from, what they might represent, and how they can be restricted . . . or expanded! See GURPS Psis for ready-to-use templates and packages building off the system from this book! 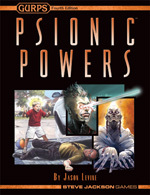 Pyramid #3/29: Psionics – A whole issue of new powers, campaign additions, and alternate rules. Pyramid #3/49: World-Hopping – Features an unusual assortment of plant-affecting psionic abilities. 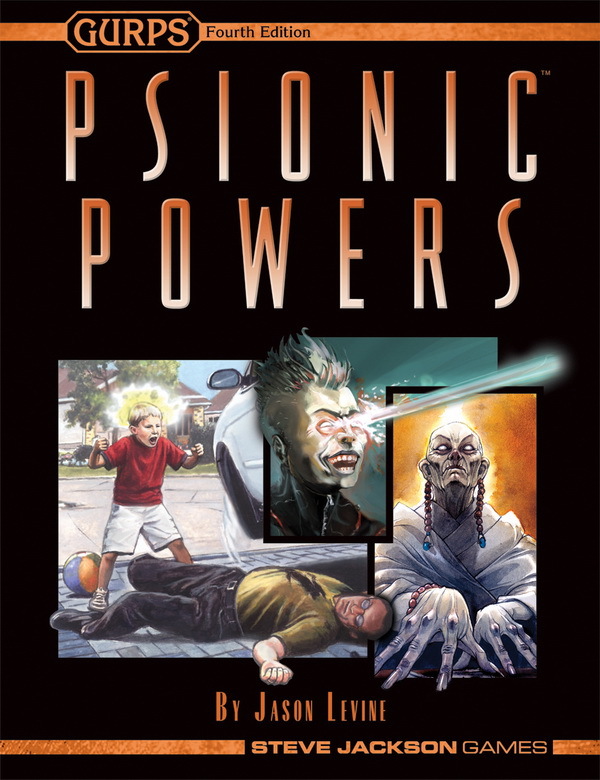 Pyramid #3/69: Psionics II – More options, including minor psionic abilities, martial-arts powers, and much more! Pyramid #3/97: Strange Powers – Includes high-powered possibilities for psionic campaigns.